Bert Behnke owns Behnke Photographers, a studio established in 1956 by Bert’s parents, along with his wife Cindy. He has won numerous awards in salon print competitions as well as serving his professional associations. Bert has taught or lectured on photography all across the USA and North America as well as in Europe, South America and Asia. Bert is a past president of the Professional Photographers of America (PPA), the Associated Professional Photographers of Illinois (APPI), the Frankfort (IL) Chamber of Commerce, as well as a Past President of the World Council of Professional Photographers (WCPP). He also was the founder of PPA Charities and is currently its Executive Director as well as a member of the World Photographic Cup organizing Committee. Bert has been awarded the Master of Photography, Photographic Craftsman and Honorary Master of Photography degrees from PPA as well as the National Award from his state affiliate. He was honored as Portrait Photographer of the Year from the International Photographic Council, a non-profit branch of the United Nations. He is a PPA Affiliated Judge and an Honorary Fellow of APP of Illinois. Most recently, Bert has been one of the 35 mentors for the popular AfterDark series of hands on training conferences held throughout the United States as well as Sandy Puc’s Hands-On Tours. “I started practicing photography with my father when I was very young. I was fascinated by his Rolleiflex and thought one day I will be a photographer. This passion brings me to organize the first photo club in my school at 14 years old. After law studies at university I became a professional photographer very late at 35. I worked in a photography shop for 5 years and started to work on my own after that experience. Immediately I became member of my national association , the GNPP, where I learned the job by strong workshops. I have been graduate “Portraitiste de France” in 2008. In 2009 I joined FEP to represent my national association. In 2011 I became a QEP in the Federation of European Professional Photographers. At the age of twelve, Don received his first medium format camera as a gift from his grandmother after a visit to China. This created a love for photography that has lasted a lifetime. His senior year in high school, Don photographed and published his first church directory. His first prom to photograph was his own senior prom. After going off to college to get a degree in business, he opened Don’s Photography Studio at the age of 20. Dickson said “I look back now and wonder what was I thinking, both my parents were school teachers and I had never heard of a trade association. All that I knew about photography and the business of running a studio, I learned on my own.” It was that first year in business that a friend invited him to a Texas Professional Photography Association convention. That first convention led Dickson to a lifetime of association work. He received his Master of Photography degree from PPA in 1988, the youngest recipient at that time in the state. He was also the youngest President of the Texas Professional Photographers association, the largest PPA affiliate in the country. After serving with the Winona Trustees and PPA education committee, he was elected to the board of directors in January of 2005, serving as President in 2011. He is respected in the entire industry as a leader in the education field. Don received the Garhart Bahker award in New Orleans at Imaging USA in 2005. This award is PPA’s highest award for excellence in Education. His love and passion for photography shows in all the aspects of his life. He has been married to his wife Charlcey for 33 years and has two children, Kyle and Suzanne. Kylie Lyons has been a professional photographer for over 21 years operating her small boutique studio in Sydney Australia photographing weddings/portraits and commercial assignments. Kylie graduated from the University of Western Sydney in 1994 with a Bachelor of Arts in Design – majoring in Photomedia. She began work before graduating at a North Sydney based Pre Press Bureau where it was her job to put together the photography department. The work was purely commercial based and concentrated on products and packaging, all the while working in the background on her own wedding photography business. In the year 2000 Kylie decided to take the plunge and become self employed as a wedding photographer. With her husband Peter they purchased a church built in 1884 and called it “The Old St Thomas Chapel” thus creating a unique niche market with their heritage wedding Chapel – The only one of its kind in Sydney. Still concentrating on mainly weddings Kylie’s photography business started to grow into the portrait market as previous clients began to have families. Today Kylie concentrates more on commercial assignments again, enjoying the freedom of all genres of photography that come through her door. She is known for her food photography and shoots regularly for local magazines, she is also concentrating on a series of art inspired portraits. Kylie joined the Australian Institute of Professional Photography (AIPP) in late 1999. Immediately she volunteered her services to the New South Wales (NSW) State Council to be their newsletter editor. This resulted in a position being offered on the Council – which she held for 10 years, the last 5 being in the office of NSW State President. In 2010 Kylie volunteered her services to the National AIPP Board and took up the role of Vice President. Working with an active team much change was brought to the Institute including the organization of a new annual conference, Folio assessments for membership entry and a Continuing Professional Development program to name just a few. In 2012 Kylie was elected as the National AIPP President and set about streamlining the Australian Awards system. Introducing a new judging system wholly owned by the AIPP and seeing membership numbers jump to new all time highs. In July this year Kylie retired from the role of National President and is now sitting in the role of National Chairman her plans are to look at the governance issues of the institute and bring about consolidation as required over the next 12-24 months. Kylie is a Master of Photography with 1 gold bar with the AIPP, and most recently achieved a Master of Photography with NZIPP – The New Zealand Institute of Professional Photography. She has won many silver and gold awards and have also achieved NSW AIPP Portrait Photographer of the year 2000 and NSW AIPP Open Category winner 2009. She is a valued state, National and International judge and panel chair and has a very unique understanding of the Australasian awards judging system. She has lectured both in Australia and New Zealand and has been part of the AIPP Mentoring Program helping up and coming photographers in the business of running a photography studio. Kylie and Peter have a daughter Alexandra and a long haired Chihuahua dog Monty. They live in the same town Kylie was born and bred in – Camden, located one hour drive south west of Sydney CBD. They are currently renovating their house to create a gallery to hang all of Kylie’s purchased and acquired photographic artwork. Not to mention adding a wine cellar! MacGregor Studios started in 1974. The studio has grown from a humble beginning in an apartment to a 500 sq ft store front and finally to a 3500 sq foot building in Vancouver. The studio has gone through several changes over the years. Wedding photography has comprised approx. 40% of the studio business and has been consistent over the years. Graduation portraits were a foundation in the 70’s and 80’s. The 90’s saw a dramatic focus on Lifestyle family and wall portraiture which now comprises almost 70% of the studios sales. The studio focuses on wall portrait and wedding work only and low volume. Don has taught over 40 week long classes for PPA Affilliate schools. Bent Nygaard Larsen is a skilled photographer in 1981 and worked as a commercial photographer for several years before he joined one of the world’s largest photographic companies Kodak, as a technical sales representative. He was educated with in chemistry process control and digital photography and had responsibility for portrait, advertising, fashion, media and industrial photographers. In 1991 Fujifilm subsidiary in Denmark and Bent was head huntet from Kodak to Fuji and was thereby contributed to structure the photographic professional market in Denmark. As key account manager and later sales manager Bent was responsible for analog, digital photo and print on the Danish market by various professional wholesalers. After a time as a marketing manager in the car industry, came Bent back to the photo industry in 2009, this time as ceo for dff / Dansk Fotografisk Forening (dppa / the Danish Professional Photographers Association). dff (dppa) is one of the world’s oldest, from 1879, industry, network and umbrella organization for professional photographers in Denmark. dff provide a whole hearted effort in information, education and networking for our members in all branches of the photographic industry. Bent constantly working to improve the conditions of professional photographers and maintain copyright and additional training for photographers and is very artiv on several boards, both nationally and internationally. 1986 Graduated Brooks Institute U.S.A.
My great grandfather established our studio 1902. I have been interested in photography since before I was born. Professional Photo seminar at over Japan every year since 1987. Introduced by Japanese Domestic TV, Radio, and Magazines. Tim took over Walden’s Photography from his father in 1980, taking the studio in an entirely different direction when he developed the Walden trademark “Relationship” Black and White Fine Art portraiture. Today, he and his wife Beverly run a high-end studio, providing beautifully crafted images for their clients as well as traveling the world teaching and sharing with other photographers. Neil Warner is a corporate photographer living in Ireland. 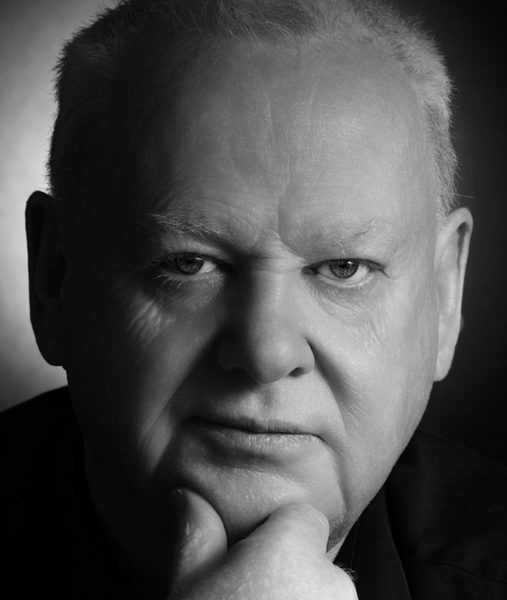 He is a council member and past president of The irish professional photographers association. He holds fellowships from the British Institute of professional photographers, The Master Photographers Association and the Irish Professional Photographers Association. He was the first Irish Photographer to be awarded Craftsman status. He was irish professional photographer of the year on three occasions and was British Overseas Advertising photographer of the year. He was The thirteenth photographer to achieve Master qep status . Neil has a background in marketing and received his Mmii at University College Galway. He also holds a diploma in digital marketing. Neil has served a as member of the EU regio stars awards council. Currently he is chairman of the FEP Video awards judges. His work has brought him from St Petersburg in Russia to San Diego in the United States. He was born in Rome, Italy, where he got a degree in arts and literature and where he still lives with his family. Based on previous journalistic experience, he became the Secretary of the Italian Photographers Association (SIAF-CNA) in 1989, an office held until 2009. Among others, Giuseppe has been instigator and coordinator of the project “Orvieto Fotografia”, born in 1999, serving as the Director of the event up to 2006. On an international level, since 1994 up to 2016, he served as the Secretary General of the FEP, the Federation of European Professional Photographers, becoming FEP Chief Executive Officer in 2008, following a change of the constitution. In 2013, it has been elected by the governing committee the CEO of the World Photographic Cup project. He currently speaks 4 languages (Italian, French, Spanish and English). He loves photography, music and sports. Since taking over as CEO of Professional Photographers of America, David Trust has helped lead the world’s largest photographic association to its most successful years in 134+ year history. However, David wasn’t always an association executive. He spent 11 years in television news as a reporter and anchor – most of his work in hard news and investigative reporting. He successfully transitioned that career by making the leap into marketing, eventually heading up corporate marketing for St. Jude Children’s Research Hospital in Memphis. David joined PPA as its first Director of Marketing in 1998, and took the helm as CEO just a little more than a year later in 1999. 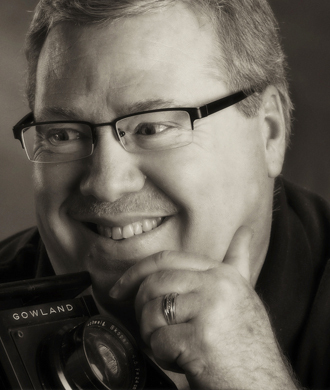 Leading what he calls the “best association staff in America,” PPA has since set numerous records for membership growth, attendance at Imaging USA, and Professional Photographer Magazine circulation. In 2000, David led PPA into the fight for photographer’s rights on Capitol Hill as a founding member of the Copyright Alliance. He is a regular presence in Washington, D.C. and has been called on to testify before Congress in defense of photographers on multiple occasions. In addition to marketing topics, David is a proponent of leadership development and speaks around the country on leadership issues. Currently Chairman of the Photographic Exhibition Committee Dennis Craft runs a successful portrait studio in the historic town of Marshall, Michigan. His work includes many photographic areas, but he is best known for his imaginative children’s photography. A Michigan Top-Ten photographer twelve times, Many of his merit prints have been selected into the International Loan Collection. Craft was named Photographer of the Year in Michigan in 1992 and 1996. He received his Master of Photography Degree in 1991 and Photographic Craftsman Degree in 1993 from the Professional Photographers of America. In 1997 he was awarded the Fellowship Degree from the American Society of Photographers. Studio owner ‘Fotostudio De Loft’ in Boom, Belgium. My professional career started about 36 years ago as a wedding and portrait photographer . During all these years I worked in many fields of professional photography such as food-, advertising-, reportage-, event-, and portrait photography. Today I specialize in Portrait photography in studio. I am very active in the “Belgian National Association of Professional Photographers” . This organization works for the protection of the legal rights and education of its members. We also organize competitions and expositions in Belgium and abroad. Runs a studio in commercial and portrait photography in Slovakia. Martin says about his work: In 2007 I was elected president of this association and in this function I am also involved in the FEP, the “Federation of European Photographers”. The Photographers associations of 30 European countries are member of FEP. These international contacts give me a much wider look on professional photography in all European countries, where the differences in culture affect the photographic interpretation in a very important way. 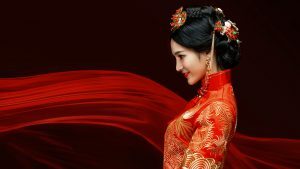 The Master Qualified European Photographer – “Master QEP” award is the highest recognition given by the Federation of European Professional Photographers (FEP). Over the years, only 38 European photographers have received this award. Since 2008, president of the Slovak Association of Professional Photographers SR (APFSR). Member of the Master QEP and QEP jury since 2009. Martin says about his work: “The most important inspiration for me has always been the power and the magic of light. I learned the true meaning of the word photography as literally the drawing of light. Ever since this intimate discovery I have seen and see the light. Everywhere. All 24 hours of it. I always see nature’s astounding and beautiful existence clothed in its infinite wardrobe of lighting. In the beginning I could not afford professional lighting equipment so I was forced to create my own, which I still use and prefer. It changed my vision of the world around me, allowing me to perceive so many things which are normally invisible to our biological perceptions. Truths hiding just out of sight. New visions, new versions of reality which nature teases us to discover so that we can be witnesses to the infinities of perception and existence.